“I miss my confinement… just for the food!” So said local celebrity lifestyle blogger Ang Chiew Ting – better known as QiuQiu – at her house in an interview with Celebrating Life. 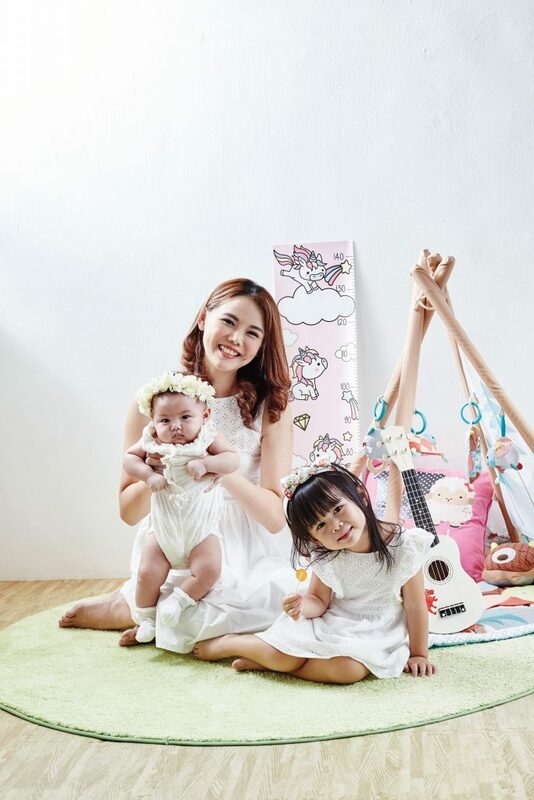 We last visited QiuQiu in 2015, shortly after the birth of her first child, and the bubbly woman was her usual candid self as she shared her experience of becoming a Thomson mummy for the second time. QiuQiu delivered her second child Amelia in Thomson Medical in May, two years after she had her firstborn Meredith in the exact same room – a single-bedder suite in the Premier Ward. “From Meredith to Amelia, I’ll always have fond memories of that room, and all the nurses who took such good care of us,” she said. 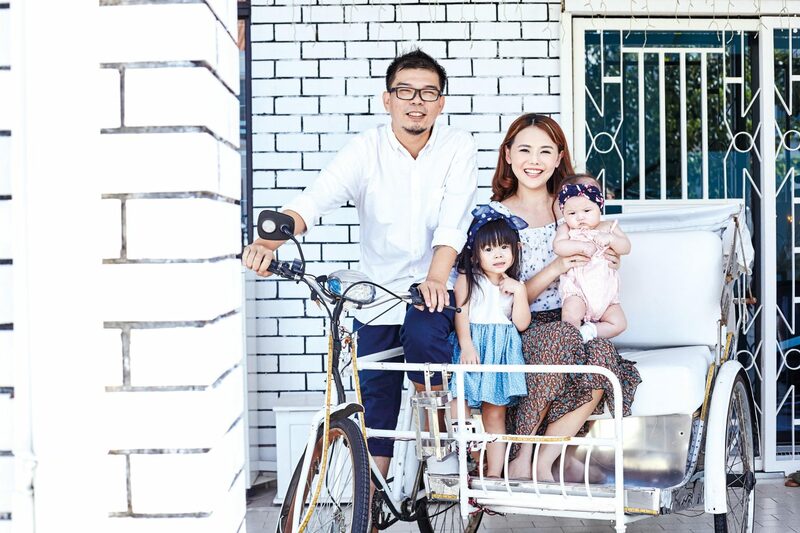 As she prepared for the photoshoot, her family was a radiant picture of bliss; hubby Joshua Tan joined in on the fun with their two lovely girls. However, the birth of little Amelia was not entirely smooth. Just one day before QiuQiu was scheduled to check herself in to induce delivery, her water bag broke and she had to rush to Thomson Medical in a taxi. Thankfully, Amelia only needed one night in the neonatal ICU to have excess fluid drained from her lungs. For QiuQiu, it is the sense of home and the caring touch that made her want to return to Thomson Medical for the birth of her second child. “After I had Meredith, when I had to go to the toilet for the first time I was so scared that it would hurt, but the nurse kindly held my hand throughout,” she said. A senior lactation consultant from Thomson ParentCraft Centre, also dropped by and coaxed QiuQiu to consume a bowl of TMC’s signature fish and green papaya soup before breastfeeding, which she happily obliged. QiuQiu also took up Thomson Medical’s confinement food home delivery service, which delivers hot lunch and dinner daily in insulated containers. While QiuQiu was resting in her ward, a physician from Thomson Chinese Medicine came to check her pulse and assess her health. Within 48 hours of being discharged, QiuQiu received a phone call from a “Thomson Angel” to check how mummy and baby were coping at home. She also got a call from a lactation consultant one month after her discharge. On top of that, QiuQiu also received a Thomson Medical Confinement Essentials luggage, which contains Thomson Medical’s specially curated confinement cookbook, wet wipes, breast pads, a hip and belly wrap, sanitary pads, and other useful items.